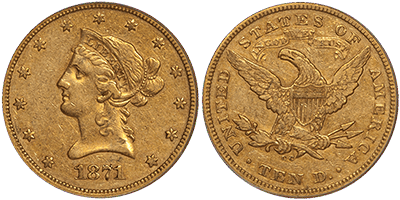 Carson City gold coins offer an exciting combination of extreme rarity and fascinating history due to their connection to the Wild West. These gold coins are also avidly sought after by coin collectors and numismatic specialists. 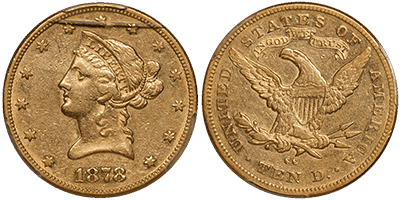 To understand what makes Carson City gold coins so desirable and rare, we must go back to the years immediately following the California Gold Rush. After the California Gold Rush led to the San Francisco Mint, the famous discovery of the Comstock Lode precipitated the creation of a branch mint in Carson City. In 1863, Congress authorized the establishment of the Carson City Mint due to the difficulty of transporting massive amounts of silver from Nevada to California. 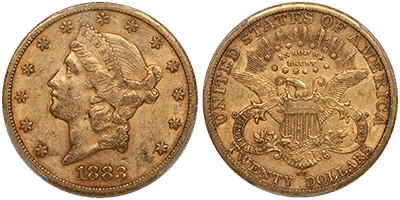 Since only small amounts of gold were available for coinage in Carson City, the Mint’s primary focus was issuing silver coins. 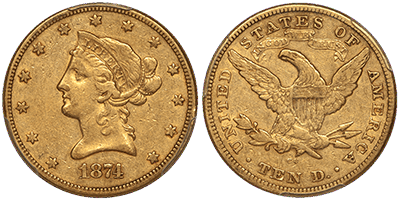 Thus, Carson City gold coins are extremely rare and valuable. 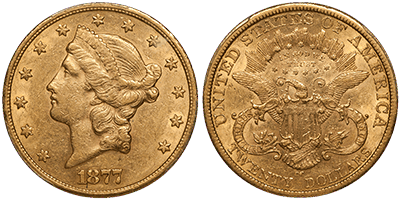 Carson City Mint produced three denominations of gold coins: $5 Half Eagles, $10 Eagles and $20 Double Eagles in relatively limited quantities. For example, only 3,789 Double Eagles were issued at the branch mint in 1870, and only several dozens of these are known to collectors today. In addition, although the Mint was open for 23 years, there were several gaps in productions due to limited availability of raw gold in the area. Mintages were always small, especially compared to the major quantities issued in Philadelphia and San Francisco. 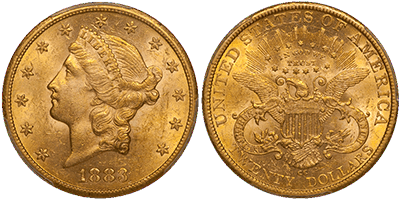 There is no such thing as a common Carson City Double Eagle – every date is rare and valuable. Today, we’re excited to offer you a remarkable group of Carson City Eagles and Carson City Double Eagles that range from a wide variety of grades and price points. *Please note: the scratch on the obverse is on the holder, and not the coin. 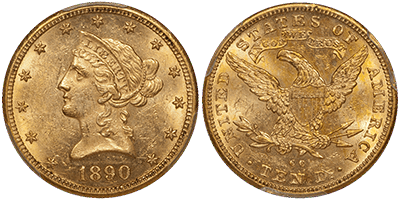 These Carson City gold coins offer a level of rarity, beauty and value that doesn’t come around too often. These coins have shown excellent price performance in the last decade, with some issues doubling in value. 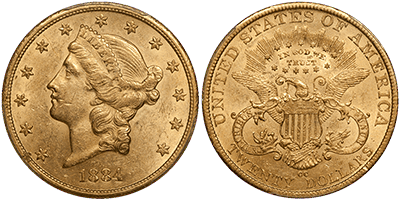 Since these coins are in finite supply, we anticipate continued appreciation for rare Carson City gold as the supply cannot meet the high demand. Considering the demand for high-quality rare coins is rapidly increasing, don’t delay in profiting from the fast-growing market of rare coins today. Call us at 800-831-0007 or send us an email to purchase Carson City gold coins! *Prices are subject to change based on market fluctuation and availability. Prices reflected are for wire transfer, check, or cash only. Offer expires March 30, 2017.